Cocoon’s minimalist fireplaces are as functional as they are beautiful. Plus, running on biofuel, they are clean and produce no smoke. The Aeris model, in black or stainless steel finish, can be hung from the ceiling and rotated 360 degrees. 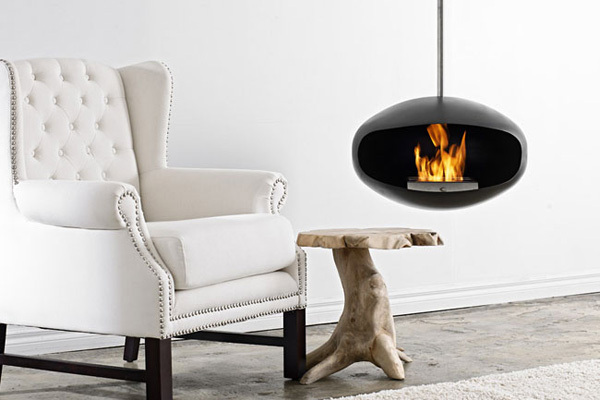 Flipped over, it stands on a single leg and can be used as an exterior fireplace. A simple design, with almost limitless possibilities.